Last week, GridPoint announced a partnership with Shell to launch Shell Energy Inside, a new product offering created to help commercial and industrial customers in North America save money on energy costs and achieve sustainability goals. Shell Energy Inside will pair smart building technology such as HVAC, lighting, metering and controls, energy analytics, and storage together with retail power supply and demand response to create one, bundled solution. The bundles will then be offered to customers as a monthly subscription, through Sparkfund’s SparkOS platform, to make the offering seamless and accessible through a single operating expense payment. This revolutionary approach takes technologies that previously had to be selected, rolled out, and validated separately through different vendors, and consolidates them into one offering from one provider. Shell then manages the solution end-to-end, including pairing best-fit technologies based on customer needs, installation, procurement, and commissioning. Shell Energy Inside focuses on solving customer pain points of selecting the “right” solutions, limited time and resources to dedicate to energy projects, and limited capital to deliver a better product and create stronger customer relationships. How does GridPoint fit in? GridPoint’s software platform, GridPoint Energy Manager, acts as the foundation for the bundles by providing analytics and controls for all supporting technologies. The platform enables the continuous optimization and execution of on-going energy strategies based on available technology to meet customer needs. Using this foundation, Shell will be able to help customers integrate new technologies and behind the meter products into their facilities. GridPoint is the best foundation to build these bundles on because it enables other technologies to grow beyond their traditional functionality. GridPoint’s solution drives real savings and can uncover insights about the best products to bundle together by analyzing building data to see if it’s an ideal candidate for solar, or storage, or an LED retrofit, for example. What do these bundles mean for commercial energy? Bundled energy solutions have been a trend gaining more and more attention in recent months. By providing customers with more technology and clean energy options, Shell can better serve their customers and help them better achieve their goals. 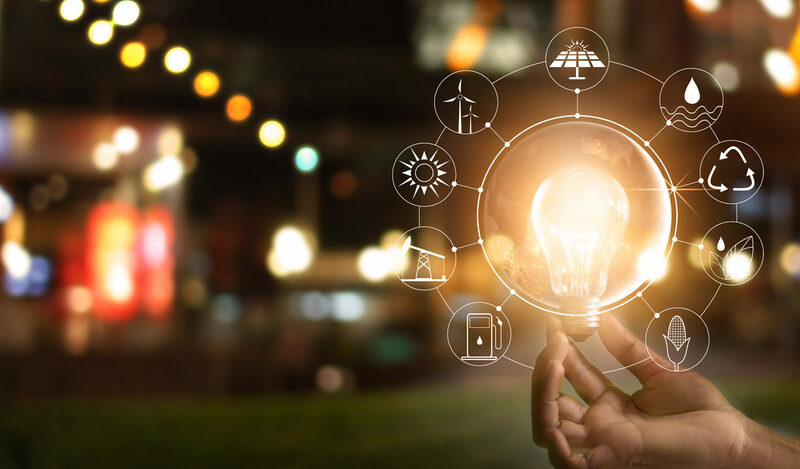 Given the increase in commercially viable grid-edge technologies and the clear trend towards decarbonization, commercial customers across the globe will increasingly integrate and benefit from 21st century energy technology in this bundled way.